Are you looking for a non toxic crib to go with your organic crib mattress? 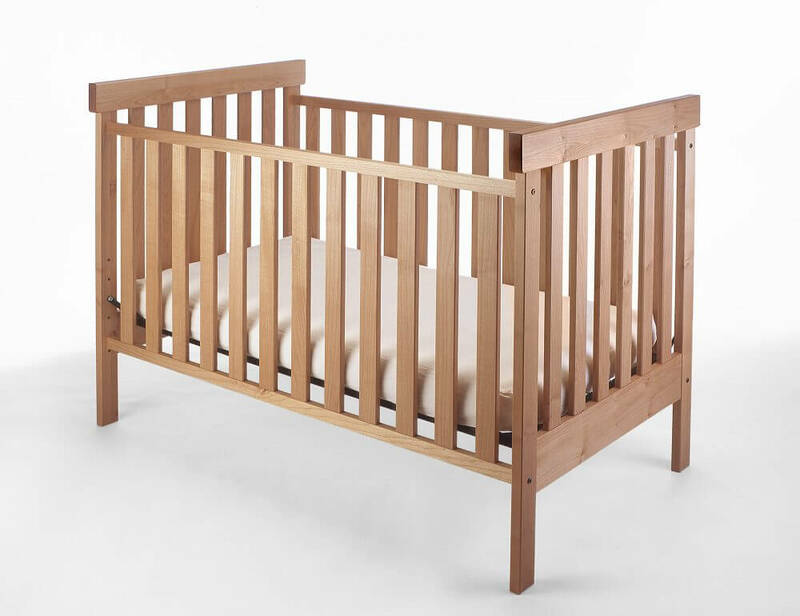 I’ve been searching high and low for organic, solid wood non toxic cribs to go with our organic crib mattresses! Because let’s face it, an organic mattress without an organic crib is like slathering mass-produced margarine on your organic bread! No! Just no. BTW if you are ready to create a healthier home, but are feeling overwhelmed at where to start, Organic Lifestyle’s Healthy Home Consultation is for you! 2. An Oregon-based company, Pacific Rim, makes FSC certified Four-in-One Kids Bedroom furniture, Adult Beds, Dressers and Nightstands. 3. Oeuf’s Rhea crib: looks beautiful, made of solid birch and Baltic birch plywood (see below). 4. Spot On Square’s Ulm crib: made from sustainably harvested solid birch and birch plywood. 5. One of my customers looked into IKEA’s solid-wood crib called Sniglar to go with her Organic Lifestyle organic crib mattress. IKEA claims their Sniglar crib is 100% unfinished beech. But my customer was not sure if the crib really was non-toxic. Sniglar can support child’s weight to a max of 50 lbs. *** Update on July 8 2014 – IKEA Canada confirms mattress base and crib is made from solid wood (no fiberboard) and is unfinished (no paints or stains). Why are solid wood non toxic cribs so hard to find in Canada anyway? I think the requirement for safety and liability testing is why there are so few solid-wood crib options available in Canada. So, let’s say you are doing your own research for solid-wood cribs. What should you be looking for in terms of organic crib-mattress sizing? Approved North American crib mattresses are built to meet 28″x 52″ dimensions; however, not all cribs are built to meet these dimensions. What you wants is a snug fit of your organic crib mattress inside the crib. No gaps. We’ve kind of been working backwards here: looking for an untreated solid wood crib for an organic mattress. But as good as a crib can be, you can’t have one without an organic mattress! So, which of Organic Lifestyle’s organic crib mattresses should you put into your solid-wood crib (including IKEA’s Sniglar cribs)? Naturepedic makes a non-toxic crib mattress that uses cost-effective materials to provide convenience, like built-in waterproofing (so that you don’t have to spend $$ on mattress covers to protect the mattress, you just wipe it) with organic cotton. To meet fire retardant related safety regulations without the use of any fire retardant chemicals or chemical flame barriers, Naturepedic uses materials such as organic cotton fabric, organic cotton batting, plant-based non-GMO PLA batting that does not burst into flames or release deadly fumes when ignited (as compared with polyurethane foam) Read more: What’s In a Naturepedic Organic Mattress? If you want a completely organic crib mattress (no plastic, no formaldehyde, no VOC offgassing, with 3rd party certifications) and peace of mind, consider Organic Lifestyle’s natural rubber. Or, the Essential organic innerspring mattress which is about the same price point as Naturepedic, just no built-in waterproofing. It also uses natural wool as the fire retardant. With the completely organic option, invest in organic mattress covers. In summary, IKEA’s Sniglar crib seems to be the most affordable option to go with your organic crib mattress. Made to order, sustainably sourced with reduced / no chemical toxic exposure solid wood cribs do exist, however, majority are $500+ in price. Hi – what did they finish the wood with? We use linseed oil which can emit an odour as well. Perhaps its that? Dihan, can’t find cribs in your online shop. Are you still looking to source ? Have been doing a lot of reading on chemical-free cribs. Here’s something for Canadian readers – if you’re not able to find the perfect non-toxic crib in the market or if it’s out of your budget, it might be an idea to buy a used solid wood crib, scuff-sand it and re-paint it using baby safe paint. That’s provided it’s made of 100% solid wood, and no pressed boards. Option 2 is use a lot of activated bamboo charcoal to absorb those toxins from the air. Hi! I purchased the IKEA Sniglar crib, and I want to use a Naturepedic crib mattress with it. Can anyone give me input on which Naturepedic crib mattress will be best fit with IKEA Sniglar crib? While I do have the stated dimensions, reviews indicate that dimensions aren’t always entirely accurate so I would like someone with firsthand experience to respond. Thanks! Could you tell me how to reduce the emissions please? Correction: The Nest crib, but yes hopefully it’s ends up being the best crib. Lol. Just purchased the best crib from Room and Board. It’s on the pricey side, but the customer service rep to me they have carried the crib for many years now, made in the USA, no formaldehyde, non toxic stains go through a long curing process before being shipped out. I would love your input on this crib! Thanks! Have you heard back from Green Cradle yet? Thanks! 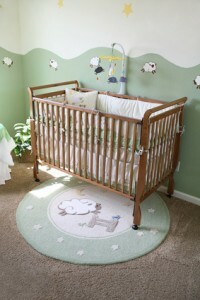 Did you end up purchasing a Green cradle crib?? Just went to IKEA today to check out the Sniglar Crib. It is no longer made with a MDF support to hold up the mattress. In fact, all the cribs there are no longer made with the MDF mattress supports. Now they are solid wood slats. The associate told me IKEA made this change so that their cribs would be non-toxic. That’s great to hear – Thanks for the feedback!